Replacement 9450 propellers with blue tips for DJI Phantom 2, Phantom 2 Vision or E310 power sets fo.. Replacement propellers for DJI Phantom 2, Phantom 2 Vision or E300 power sets for DJI Flamewheel ser..
New! Upgraded DJI Self-tightening Propeller Set 9450 Include 1 CW and 1 CCW 9" Self-Tighte.. Replacement 9450 propellers with red tips for DJI Phantom 2, Phantom 2 Vision or E310 power sets for.. Replacement 9450 propellers with pink tips for DJI Phantom 2, Phantom 2 Vision or E310 power sets fo.. Warning: This product is designed exclusively for outdoor flight. Calibration is required for proper use. Failure to use product responsibly may result in loss, damage, or injury. All components professionally installed, calibrated and tested. Ships same day if ordered before 4:30pm MDT. 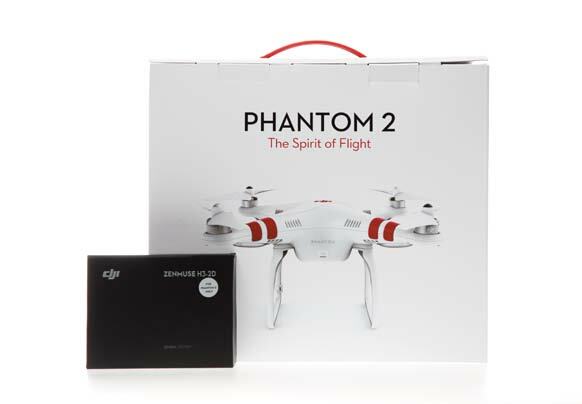 The Phantom 2 is an evolution of the Phantom. It features the same compact and highly integrated design, but comes with FPV flying and Aerial Photography support right out of the box. Hardware mountings and software tuning are all carried out prior to delivery, meaning with rotors attached, a charged battery and transmitter batteries available it can fly immediately. Additional features include a higher payload, a built-in intelligent battery, H3-3D gimbal support and other functions. Phantom 2 Quadcopter is the second generation Phantom quad-rotor RC helicopter from DJI and is bundled with the Zenmuse H3-3D 3-axis gimbal. With a larger battery and improved prop design, flying time lasts to up to 22 minutes, compared to around 14 minutes on the original DJI Phantom Quadcopter. This product will appeal to a variety of potential users, from RC aircraft hobbyists who want to record their flights to videographers and photographers looking to open up a whole new range of shooting possibilities. 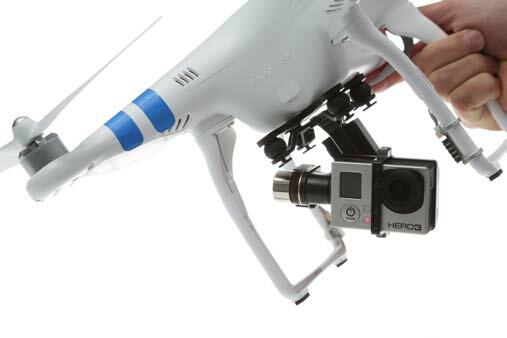 A customized H3-3D gimbal, designed for easy assembly and connection is available for the Phantom 2. Its stability ensures high quality footage and the camera’s pitch can be controlled from the transmitter, allowing pilots to be more creative. Functions of the Phantom 2 can be expanded through its Can-bus module, which can be used for IOSD or 2.4 G Bluetooth Datalink. AV output and video-downlink power cables already installed, ready for upgrade. Integrated GPS auto-pilot system offers position holding, altitude lock and stable hovering allows attention to be focused on shooting. High capacity, high performance 5200mAh intelligent Lithium Polymer battery offers up to 25 minutes of flight time, with battery capacity data, overcharge/discharge protection and maintenance reminders for greater reliability. If the Phantom 2 and its controller disconnect during flight for any reason, the Naza-M autopilot system’s failsafe protection will come to the rescue. Outputs of all command sticks on the controller will go to the center position and if the signal is good enough the Phantom 2 will return to home and land automatically. You can also program a One Key Go Home function through the Assistant software. In traditional multirotor flight, forward is tied to the direction of the nose. Using IOC, it flight is much simpler. In Course Lock mode, forward direction is will always be the direction the nose faced at takeoff, while in Home Lock mode forward takes the Phantom 2 back to where it took off. Users can adjust these settings as they please. Power consumption has been improved by a custom power management system that monitors power capacity and voltage. Low power is indicated by the LED. 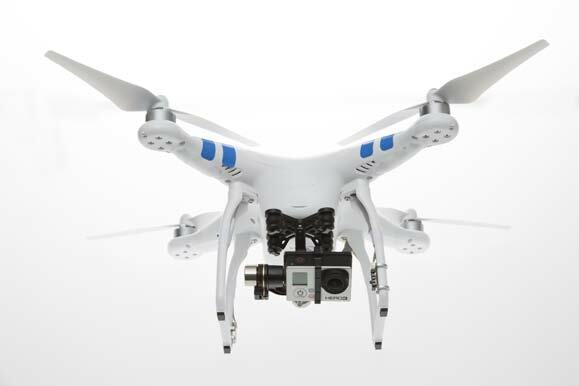 If power drops below safe levels, the Phantom 2 will land automatically during low battery level. Integrated battery compartment allows for near instant battery changes. Install propellers without worry using self-tightening propellers that only install in the right place. These will also tighten during flight, enhancing safety. All propellers have been carefully and dynamically balanced to eliminate the jello effect. Black Pearl RC801 7" Monitor with built in battery and 5.8 Ghz Dual Diversity 32 Channel Receiver, 12V Charger and Sun Screen. Compatible with DJI 5.8 Ghz Transmitters and more. Includes standard rubber duck antennas. For improved range, try out the Mushroom Antenna set and Panel Antenna from Flysight. Notice: The use and operation of this product in the USA and many other countries requires an amateur/ham radio license, and some countries may forbid its use entirely. It is the responsibility of the purchaser to ensure that the use of this product meets the requirements imposed by your government’s rules and regulations for RF devices. Do not purchase this product if you are unsure of the government requirements or are not able to comply with them.